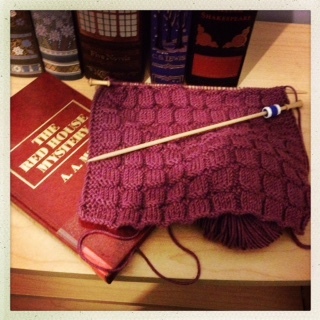 I am knitting the Moonrise shawl as a selfish interlude between baby knitting projects. I also have a Christmas project in the works. I am trying Never Let Me Go; I am not sure if I will stick with it or not, I just burned myself on a book.